It’s the first day of Lent, yo. Maybe you ended up here because you decided to do something crazy like give up bacon for Lent. Or maybe you just want to see what kind of fool would do so. Either way… welcome! I started this blog last year as a distraction to the craving for that savory meat candy. 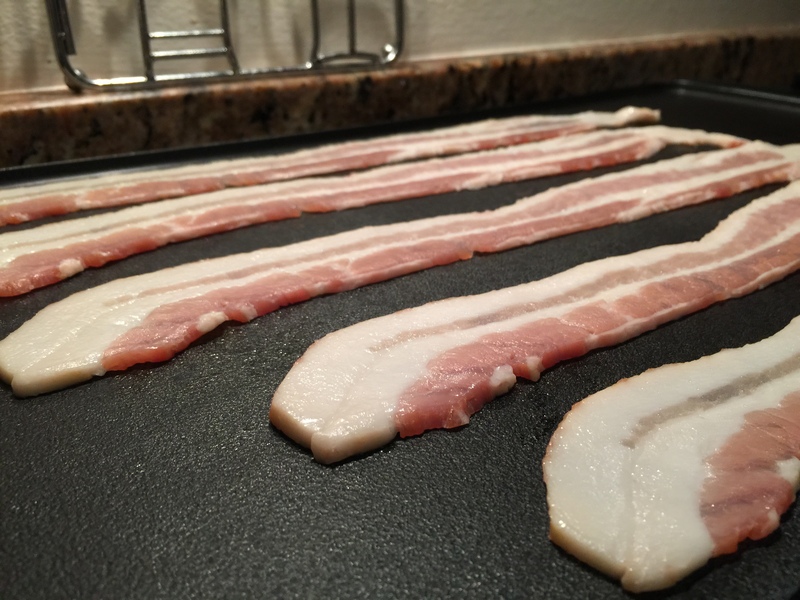 I talked about what I would eat for breakfast, and how to substitute something lesser like sausage or ham for our favorite of breakfast meats. I also featured a lot of non-bacon options, especially all those crazy fish sandwiches the fast food giants try to cram down our throats every Friday of Lent. You can’t have any fried, cured pork belly, so why not have some fried processed fish? C’mon man. 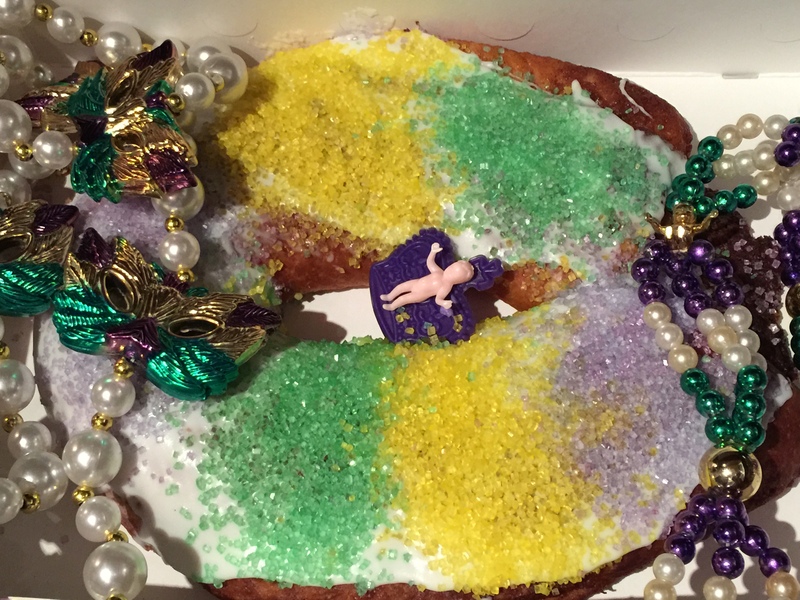 Yesterday started out like any other Fat Tuesday – I dug into a King cake, which is a deliciously sugary Mardi Gras confection. That’s a plastic baby Jesus in the middle…. 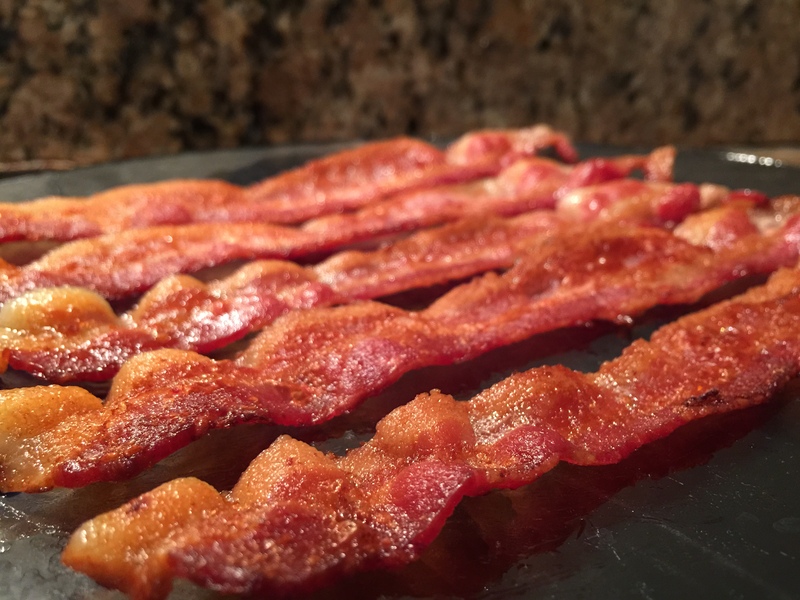 Later on in the day, I realized, “Tomorrow I need to give something up for Lent”, and panicked… for I had at least half a package of delicious Smithfield Thick Cut Bacon in the fridge which I did not want to go to waste. So I immediately threw it on the griddle. It was late last night and I was a little drunk… and again it was late last night, so I didn’t really now what to do with the bacon. I had already eaten dinner, so only thing left to do was eat dessert. 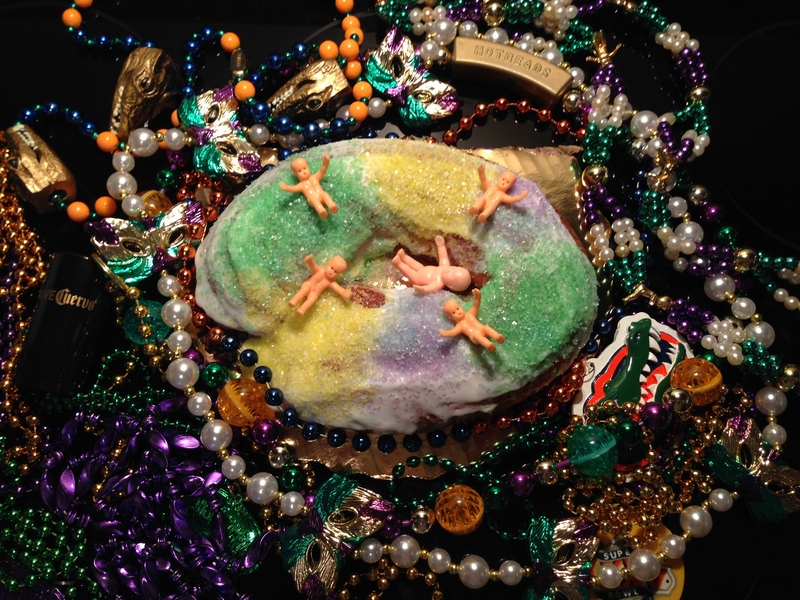 And then it came to me – I had some King cake left, so what else would come to mind? Bacon, King cake, and ice cream. 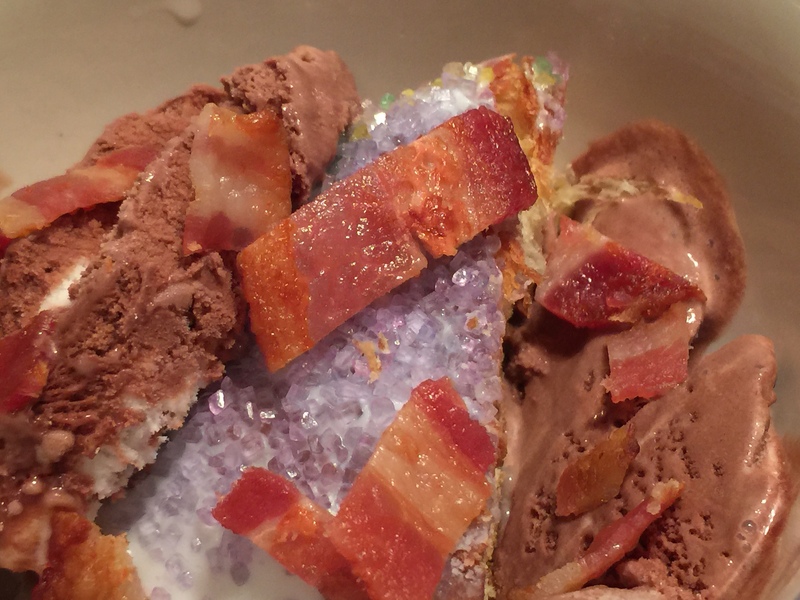 That would be Heavenly Hash ice cream with the King cake, sprinkled with chunks of bacon. Yes, I did that. I hope you went out with a bang like I did! While I was making our morning coffee, when I went to grab the half-and-half I noticed that the bacon was missing from the refrigerator. When I opened the freezer, I found the bacon there – it appears that my girlfriend Susan is freezing the bacon until Easter… God bless her. (Whoops – was that blasphemous? I shouldn’t ask God to bless anything during Lent I guess). 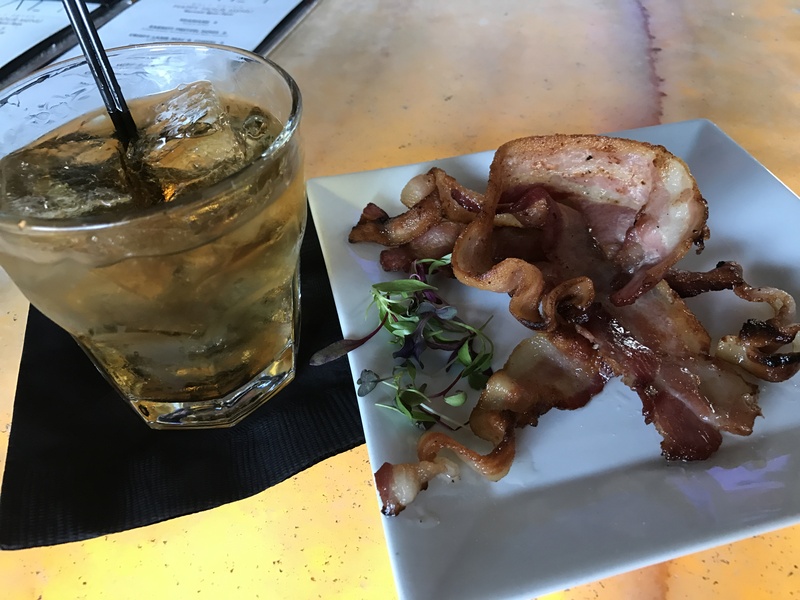 Then I realized there was some King cake left from our Fat Tuesday celebration, so I proceeded to have a slice of the sugary sweet pastry – nice, but not the same as my beloved salty but scrumptious bacon. While browsing Twitter today, I discovered a wonder invention from the Oscar Meyer Institute for the Advancement of Bacon – a device that plugs into your iPhone and turns it into a bacon scent alarm clock. They aren’t for sale – only 4700 made and you have to be chosen to receive one. I didn’t win today, but I’ll definitely try tomorrow. After all, I gave up bacon for Lent but said nothing about giving up smelling an artificial bacon scent in the morning.